The Atrixware CD Menu Maker software is designed to enable you to turn just about anything into an auto launch CD-Rom application. 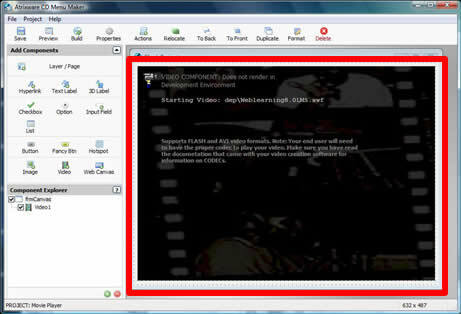 A common task is turning one or more flash videos or presentations into an application your end user can run automatically simply by placing the cd-rom into their system. Note: This article was written with a beta version of CD Menu Maker, so some screen shots and steps may vary slightly from the final release. 1. 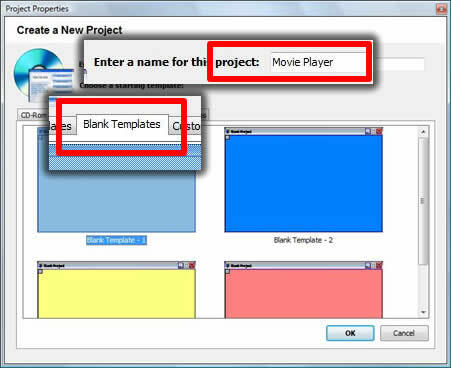 Start CD Menu Maker, click the Create New Project button, enter a name fpr the project (I used ‘Movie Player’), and pick one of the templates from the ‘Blank Templates‘ tab. 5. Making sure the swf file is selected (highlighted), click the OK button on the Dependency Browser dialog, and then click DONE on the File Dependencies Dialog. 6. 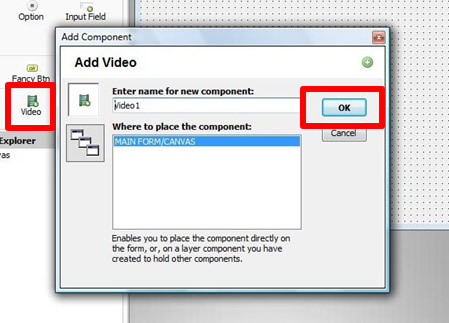 Now, click the PICK button on the Video Component Properties panel, and your swf file should now appear an an option – pick it. 8. 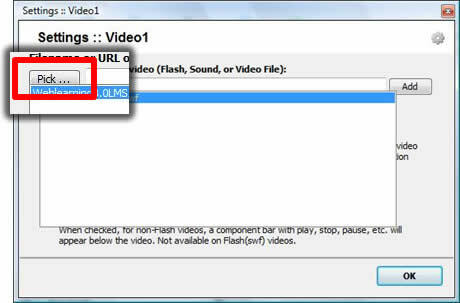 You may need to Preview (press F12, or click the PREVIEW button along the top toolbar) your project a few times until you work out the desired size of the video component and/or window size. 1. 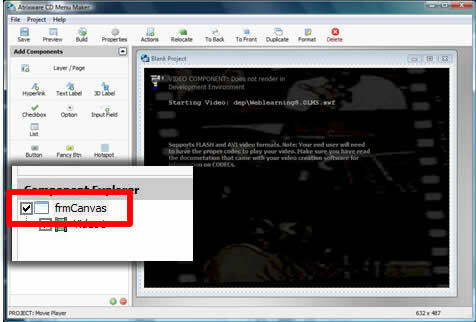 In the Components Explorer panel, click the ‘frmCanvas‘ component (at the very top of the list). 2. 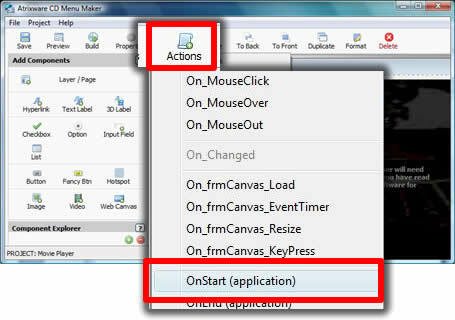 On the top toolbar, click the Actions button, and choose OnStart. 3. 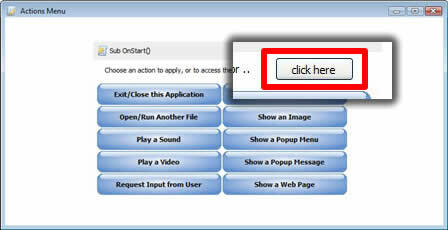 On the Actions Menu, click the CLICK HERE button to access the Code Editor. 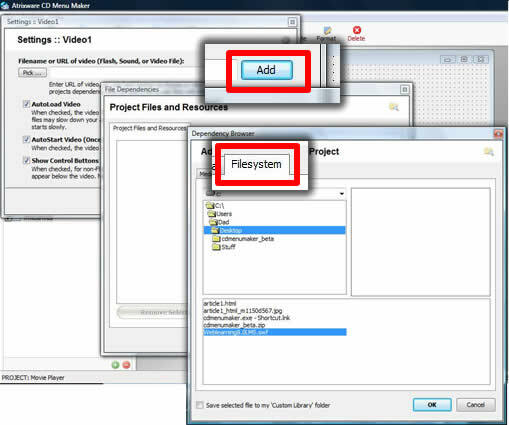 Once you have completed the project, click the BUILD button on the top toolbar. Once complete, drag & drop the files onto a blank CD-Rom (or use your favorite CD Burning software). The end result is, when your end user inserts the CD Rom into their system, your application will start, and the video will begin playing immediately. This entry was posted on Saturday, February 9th, 2008 at 1:58 pm	and is filed under Anthony, Atrixware 101, CD Menu Maker. Both comments and pings are currently closed.